Spotted in Phibsboro the other day. Nothing For Me. 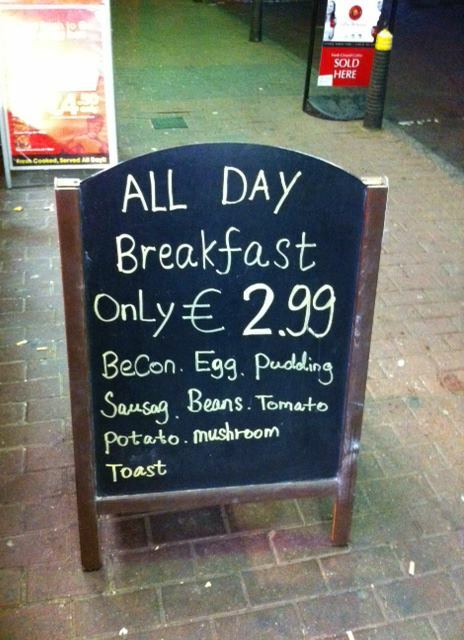 I Had A Largi Breackfast Earlier A Thing Of Beauty Meanwhile, In Artane Innis Whatnow? Posted in Misc and tagged sign, typo at 8:55 am on September 26, 2011 by Broadsheet.